Deck Digger; deck grove cleaning tool. I got this at a home and garden show. I posted this photo on"home Work" but I thought some of you may want to find one like it. It works good. It's a clever idea. But I don't know that I would have the patience to run it through all the grooves in our deck. They've lasted this long without ever being cleaned! 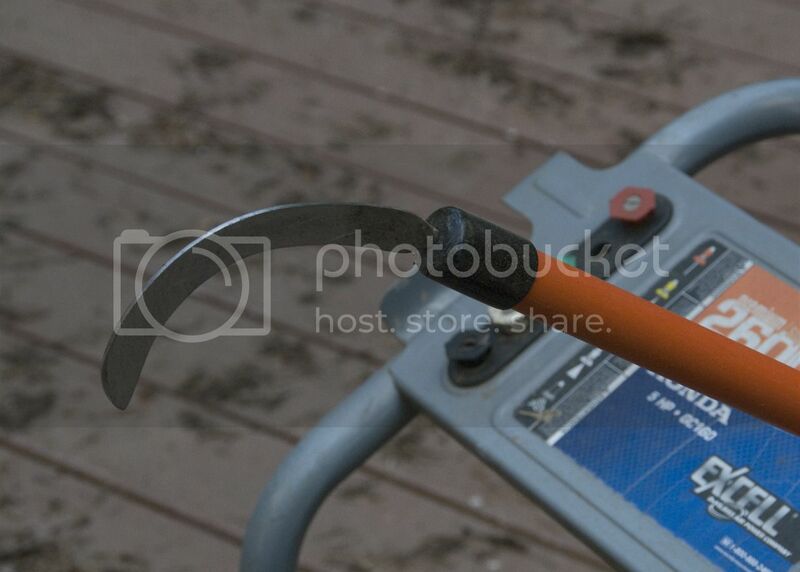 Re: Deck Digger; deck grove cleaning tool. You could likely get the same results with a pressure washing and the benefit to that is you also get your deck cleaned while removing the dirt from the grooves. My pressure washer has saved me a ton of work over the years with cleaning the porches, exterior of my house and when I get the urge to really do a good cleaning on my vehicles, especially the undercarriage.